You and your team have been given intel regarding a private casino on the southeast coast. You are to help rob the casino. Can you solve the puzzles and escape with the loot? 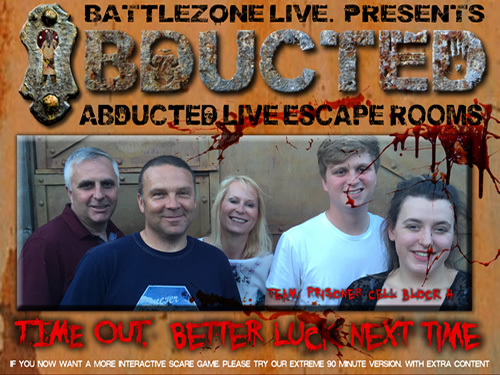 Great for Team Building, Birthdays, Family get togethers or just to test your brains. The investigation will open shortly. 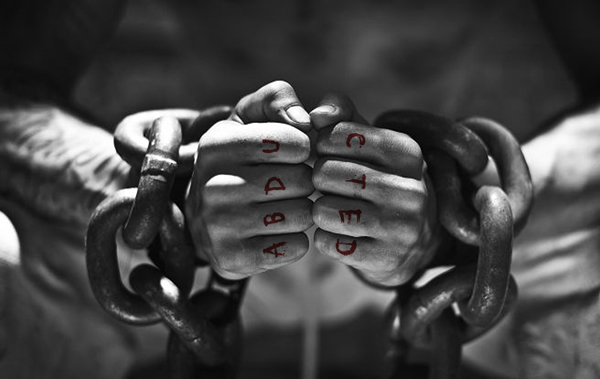 Imagine being abducted and locked in a dungeon. Do you wait it out and hope for the best or do you try to escape? This is a cross between the movies Hostel/Saw and the Crystal Maze. 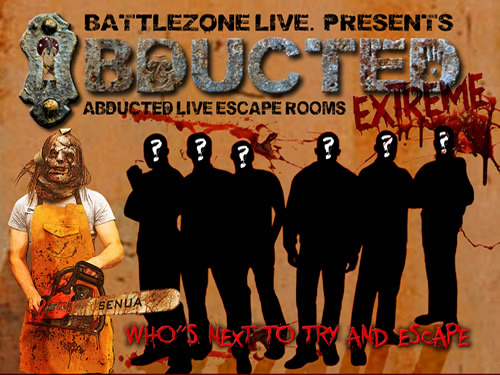 Solve the puzzles to escape the before your captors return? 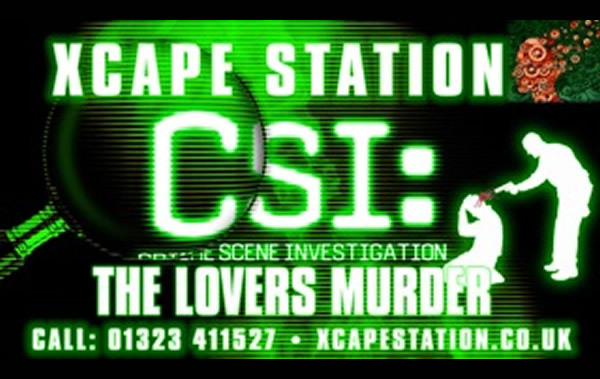 XCAPESTATION is proud to present live escape room experiences in two locations in East Sussex. 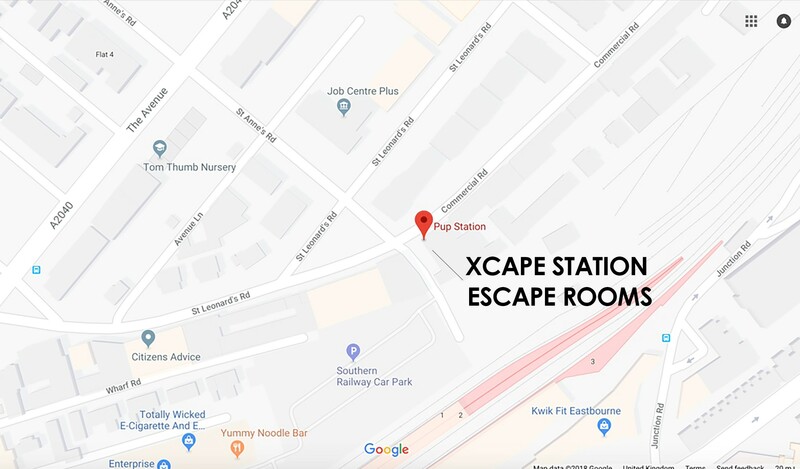 We have escape rooms in Eastbourne and Hastings. 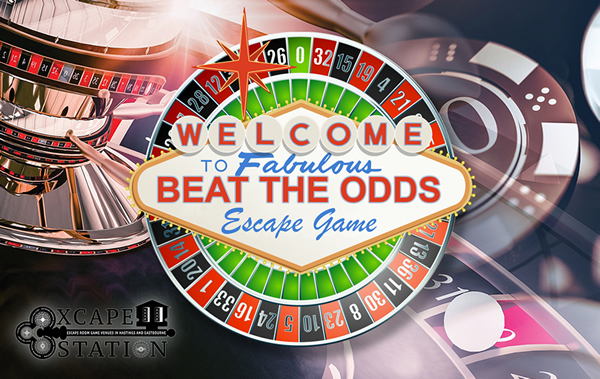 Please see our prices for the escape experiences on the individual escape room pages. Brilliant experience, makes you use your brain and work as a team. Would highly recommend Abducted live. Was absolutely wicked amazing experience, 100% would recommend trying it, you'll be shocked how much you actually have to think. Such a fun and challenging experience. Really made us work together on solving the clues and trying to escape. Unfortunately we didn't escape this time so will definitely be going back, to try again. Very clever, exciting fun. Amazing experience and great fun with intriguing puzzles and mystery's, great fun for family and friends 10/10 rating. Creative and amazing atmosphere. I got to trial this room last night and it was excellent. Suitably challenging and really good fun- we were so close to the finish!!! Choose your friends wisely and try everything! A must do if your a fan of horror films !!! I loved everything about this experience! Without giving too much away - it was truly unique and a really brain teaser! It pushes everyone to think in ways they never would have imagined and is so fun and enjoyable all together! You are missing out if you do not try this! Cannot wait to try the extreme of this! Very creative, I love the whole idea behind it. It is very organised and well planned out! Would thoroughly recommend to anyone who's after a thrilling experience that really works your brain and your team work skills. 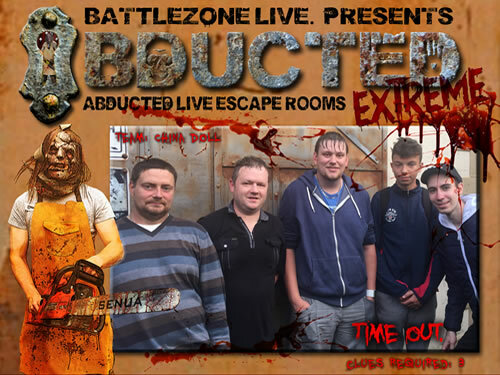 I have now done Abducted and Abducted extreme! What a room. 100% recommend you visit. Clues are very well Put together and challenging.Truly terrifying doing the extreme version a real life horror film and living a nightmare!Brian is a great guy and has a real passion for his rooms. Would literally do it all again right now.Thank you soo much abducted! Just finished Abducted Live and it was an incredible experience! It was quite tricky but just went to show how much care and attention went into making the room. Bit of a last minute booking as we were in the area with a spare day... this couldn’t have been any better than we could have hoped for! Brian did an amazing job at meeting our needs, and making the event a great success. A few of the group didn't really want to take part but have no fear after 10 min we were all engroused in the activity. Would recommend it to any works group. We received two tickets for the escape room from my mother in law. I have done an escape room previously in brighton and i thought i could crack this one easily. Boy was i wrong. I love everything about horror and i love watching horror movies and today i had the chance to live one! I cannot say too much about the room for relevant reasons, but everything from customer service from the owner, puzzles, design, decorations and level of professionalism was absolutely perfect. Everything was very smartly done and i cannot remember the last time i felt the fear i felt today even though i knew nothing was real. I am definitely not brave enough for the extreme version which is EXTREME but im sure i will be visiting this room or any others they have very soon. 100% recommend to anyone. I came with a group of 5 people, none of us knowing what to expect. It was our first time in a escape room and it was such a great experience. Smart, challenging, fun from the start. The pressure to escape drove our team especially when we got to the final five minute mark and panic of the unknown of what happens if we cant get out or if we did. Delegation and team work is definitely the key to escaping, great for team building for work groups, friends and family. Puzzles should not be over thought, and anything might be needed to solve the next one. 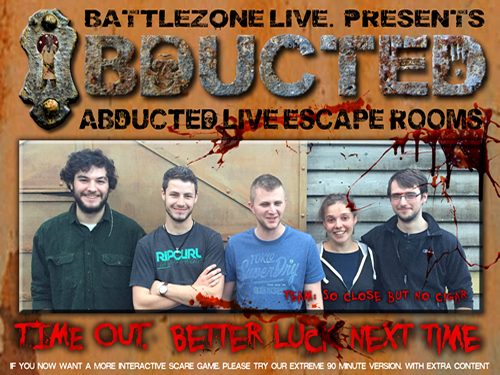 Very addictive and have already booked to have another go as we feel we have to escape. Well thought out game, amazing actors and scene setting which makes the experience feel that it could be real. Thank you for having us see you soon. By far the best escape room experience I have done, couldn't recommend enough!! Can't wait for them to do more!! Please see the FAQ on the individual Escape Room Pages.